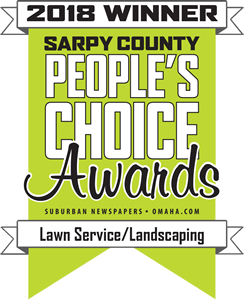 When your Omaha business’ lawn needs a complete makeover, consider having new sod laid by H & H Lawn and Landscape. We will use only top quality sod like Fescue, Kentucky Bluegrass and Zoysia to renovate your Omaha home’s front and back yard. No matter the size of the project large or small we can provide and install your sod. We have access to large rolls and small rolls depending on the job, and we only use the highest quality landscaping supplies to improve the value and beauty of your yard.